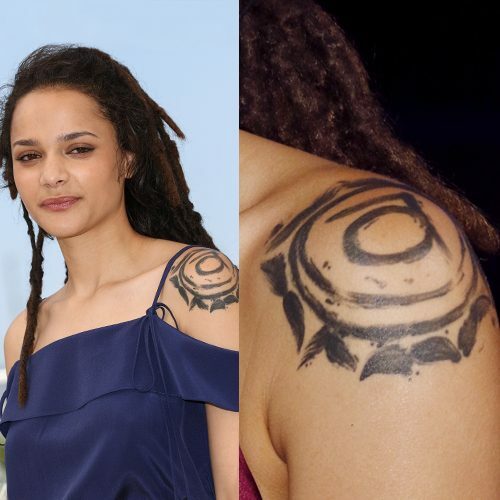 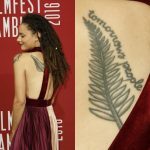 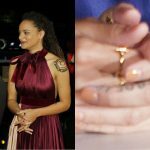 Sasha Lane has an big tattoo on her left shoulder which is the navel chakra symbol. 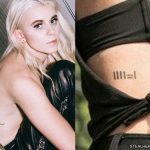 This design is a about free expression, loving yourself and embracing all of your emotions and sexuality – Sasha explained in an interview. 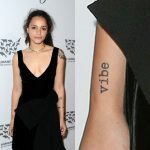 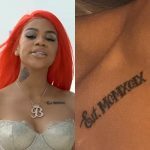 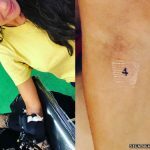 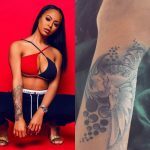 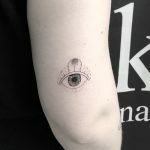 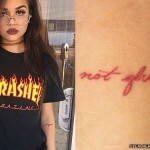 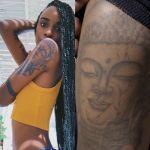 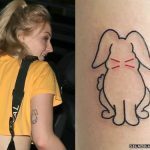 She also mentioned she got this tattoo on a moment of her life when she was trying to love who she was and embrace all of the things happening in her life.